By switching to the new Fiery XF 6.1 and the use of the new X-Rite SpectroProofer ILS-30 measuring instruments, we are now able to proof the current beta versions of the new printing standards Fogra 51 and Fogra 52. Since the current proofing profiles are available only in preliminary beta versions, the versions are of course not color binding and legally binding. Nevertheless, interested agencies and printers can get a picture of the current state of development and evaluate the coming changes of the OBA proofing papers used better match the colors of the new proofing standards. 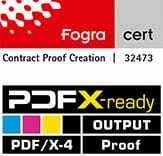 Proof.de has updated its proofing software to Fiery XF Proofing 6.1 and so successfully finished preparations for the production of proofs in the upcoming Fogra 51 and Fogra 52 color standards. The new software version also supports the now available new Spektroproofer ILS-30 made by X-Rite, which is able to measure in the measurement modes M0, M1 and M2. The color profiles for the automated production of proofs and proof verification Fogra51 and Fogra52 will have to me measured in the new M1 standards, as well as the 2013 Versions of SWOP and GRACoL. Proof GmbH also updated their RIP to Adobe PDF Print Engine (APPE) version 3.1. and updated some PANTONE Plus color libraries as well. Fogra Fogra 51 and 52: No Start in sight. Fogra Fogra 51 and 52 have completed the beta phase at the Fogra in May 2014 and were forwarded to the ECI. The there in the project “fred15” compiled information and downloads are but from March, July to October 2014, but since then there has been no more news on the new standards. So there is currently no date for the release of the final profiles, handouts and tools foreseeable. Fogra, ECI, bvdm and UGRA continue to work together on the new standards. 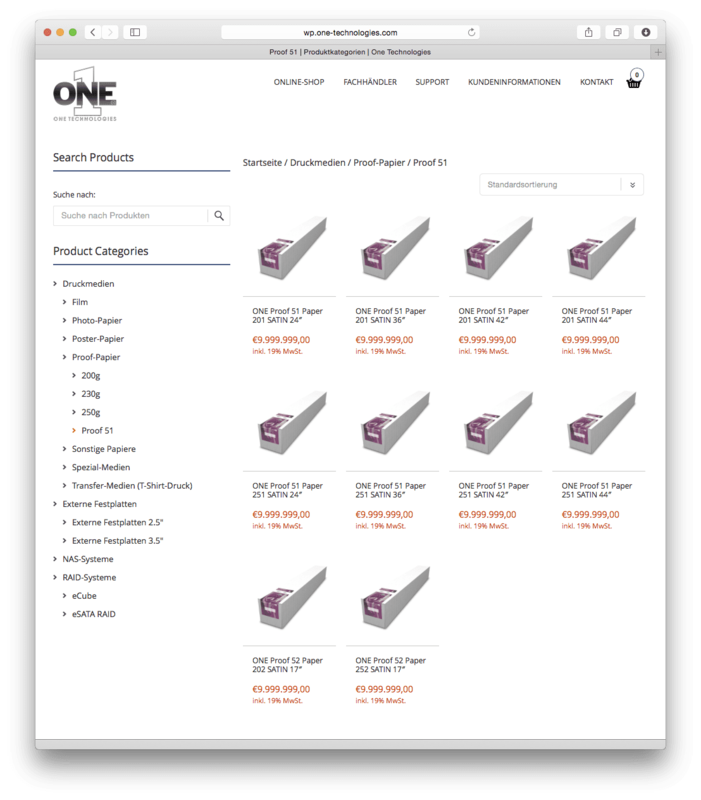 ONE Technologies: The proofing paper for Fogra 51, already announced in May is still not available today. 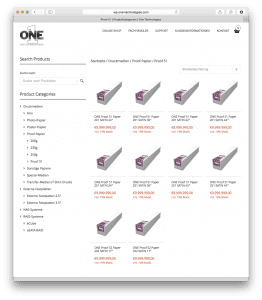 ONE Technologies announced in May 2014, the certified proofing paper “ONE Proof Paper 51 SATIN” on … that in November is not yet available anywhere. GMG announced in October, the proofing paper “GMG Proof semimatte 250 OBA”, which to this day is also available anywhere. Also working on new proofing substrates is EFI, but naming, pricing and release dates are not known. Epson announced in August to deliver from 1 September 2014 all Epson SpectroProofer measuring devices with the new measuring head ILS 30 only. Unfortunately, the new SpectroProofer is not yet commercially available as an accessory.